If we take a closer look to Loki’s fashion, we’ll discover that he has more than one outfit in each of the films. In Thor he has symmetrical and asymmetrical garments. While his combat outfit and King outfit are symmetrical, his “casual” garments are asymmetrical and resemble what his normal outfit will be from the Avengers onwards. We can see two outfits which are symmetrical: the one that he brings to Jotunheim to fight the Jotuns and the one for special occasions (coronations, becoming a king). However, the third one is a previous of what Loki’s outfit will look from the Avengers onwards. It is quite asymmetrical, and each of the arms are different. Pay a closer look. However, we cannot say that he uses this outfit from the moment he does know about his true origins, since he already used this one when talking to Thor, before going to Jotunheim. However his outfit with a cape, in the Avengers looks quite symmetrical, while his casual outfit does resemble the one in Thor, the first movie. So, what’s going on here? We could argue that symmetry is subliminally sending a message to the subconscious of “I am the good guy,” while asymmetry is sending the opposite message “I am the mischievous one.” Symmetry also echoes order, beauty, balance, equilibrium. However, asymmetry is echoing chaos, hiding something, being out of balance. Symmetry is simple: at a first glance we know about the figure in front. Thus, symmetry defines Thor perfectly: he is a simple guy, who understands simple statements. However, Loki is far more complex: he knows magic, he does tricks, he hides his true nature, he creates illusions, etc. 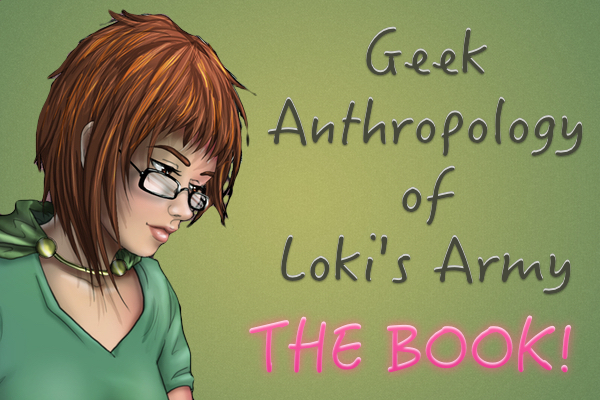 Complexity is what Loki’s fashion is showing up. His outfit is as complex as his own personality. So, we can conclude that, fashion is giving us hints about the personalities of the characters in the movie. While Loki had both symmetrical and asymmetrical outfits in the first movie, and then he became more and more asymmetrical in his fashion, Thor has remained as symmetrical as always. Loki’s personality has evolved, has matured, is far more complicated than it was in the first movie, and fashion reflects that. That his sleeve differences in Thor the Dark World coincide with the blue arm of the first movie, might be a coincidence. But the fact that the characters’ personality is shown also through fashion can be taken as a fact. Symmetrical echoes simplicity, and thus, a clearer character. Asymmetrical echoes complexity, and thus, a multilayered and deep one.